In the lead up to the publication of The Superyacht Migration Report, Geraldine Veran and Thibault Hermant of H&V Yachting discuss the various schemes available to US-built superyachts entering the EU. The 25 per cent tariffs placed on US-built vessels entering the European Union caused a wave of anxiety throughout the industry. However, the pinch wasn’t immediately felt in 2018 since many yachts had already entered EU waters by the time the tariffs came into effect on 22 June. 2019 is a different kettle of fish. The Mediterranean remains the preferred global cruising ground attracting 71 per cent of charters worldwide. Although the number of US-built yachts and tenders is not remarkably large, the economic impact on the charter market and the service industry that developed around it could be significant if the tariffs were strictly applied. France and Monaco have a long yachting history: yachting is the fourth largest industry in Monaco with revenues just under one billion euros and the South of France generated close to five billion euros in 2018. A downturn or retrenchment would hit local economies hard. Last week, after reviewing current importation schemes, French Customs (Monaco is a part of the EU customs territory through an agreement with France signed in 1963) issued new guidelines based on a re-interpretation of current regulations. Their aim was to minimise the impact of the tariffs on US-built yachts and tenders for yacht owners who want to cruise or charter in the Mediterranean. Below we consider the options that are now available to private and commercially registered US-built yachts. 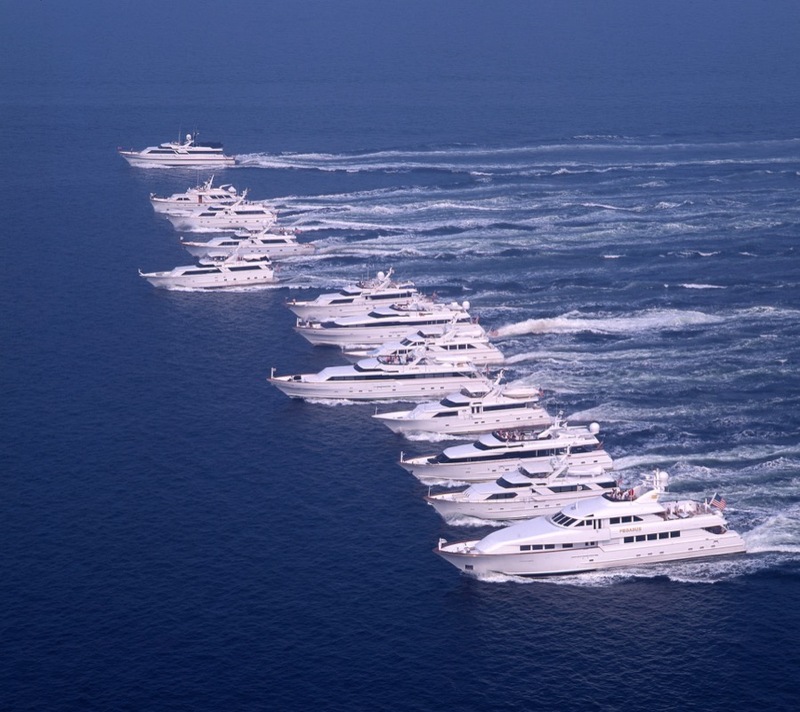 Privately registered yachts are not affected by the tariffs. French Customs has confirmed that they may enter the EU under Temporary Admission (TA) without being subject to tariffs or paying VAT. The yacht’s flag and owning company must be non-EU and the Owner or user must not be an EU resident. However, there might be a VAT liability if EU residents cruise onboard without the UBO. Once the yacht has entered the EU under TA it can move freely without the need for any further customs formalities during an 18-month period. Furthermore, MCA compliant private yachts may conduct limited charter operations under a Temporary Admission scheme called YET (Yachts Engaged in Trade). YET is a dual use operation program that offers a third means of registration for commercially compliant non-EU flagged yachts, YET provides flexibility to owners to operate their yacht privately with the option to charter for limited period (in general up to 84 days per calendar year) in EU waters. Until this year, French Customs took the position that in order to engage in charter, a yacht had to be commercially registered. Now Customs no longer considers chartering activity to be ‘commercial use’. This is not as far-fetched as it might initially seem. In 99 per cent of the cases a charterer rents the yacht for pleasure and not for business. Since the end purpose of the charter is personal, the charter activity does not fulfil Customs commercial use criteria. Flag State must allow the dual use operation program and, in addition to the TA requirements, the yacht must be 24m or more in length, be in class and fully comply with the requirements of the Large Yacht Code, and operate in full commercial compliance at all times, whether engaged in trade or not. While there are a number of advantages for the UBO offering the yacht for charter under YET (the UBO doesn’t need to sign a charter agreement and no VAT is due on charter fees, just to mention a couple), there are some drawbacks. Above all, no EU residents can come onboard during a charter. Failure to comply will expose the yacht to payment of VAT. Secondly, charters are currently limited to Monaco and French waters. Italy is still a moving target. Lastly, the yacht cannot take on VAT exempt fuel. Implementing the YET program requires advance planning since the scheme has to be approved by Flag State prior to arrival in the EU. It cannot be done on or after entry into EU. Moving on to commercial yachts. All commercially registered US-built yachts are affected by the tariffs unless imported and in free circulation in the EU before the 22 June 2018. Even if a yacht left the EU, she may be eligible to re-enter the Union under a Customs relief scheme called Return of Goods Relief (RGR). The Returned Goods Relief (RGR) scheme provides relief from customs charges on re-imported goods (the vessel in our case), which were originally in free circulation in the EU and return in the same state as at original export. To remain eligible for RGR the vessel must not have been exported for the purpose of repair and must return to the EU within 3 years. Commercial yachts that failed to meet the June 22, 2018 cut-off date, may enter the EU under TA and carry out limited charter under the YET program. Lastly, US-built tenders are subject to tariffs when imported into the EU. However, the same rules as above apply to tenders. Tenders only used for transporting guests between the mothership and the shore (“tender to”) are imported with the mothership. Tenders used independently will be imported separately. Customs has not yet confirmed whether US-built tenders imported into the EU under TA will be subject to the same TA conditions of the mothership and be exposed to VAT liability if they transport EU residents onboard. There is no ‘easy fit’ but the range of schemes provides importation options for yachts, including US built yachts, wishing to charter in EU waters without paying VAT or tariffs. Restrictions apply so careful planning is essential. That being said, France and Monaco remain open for business.